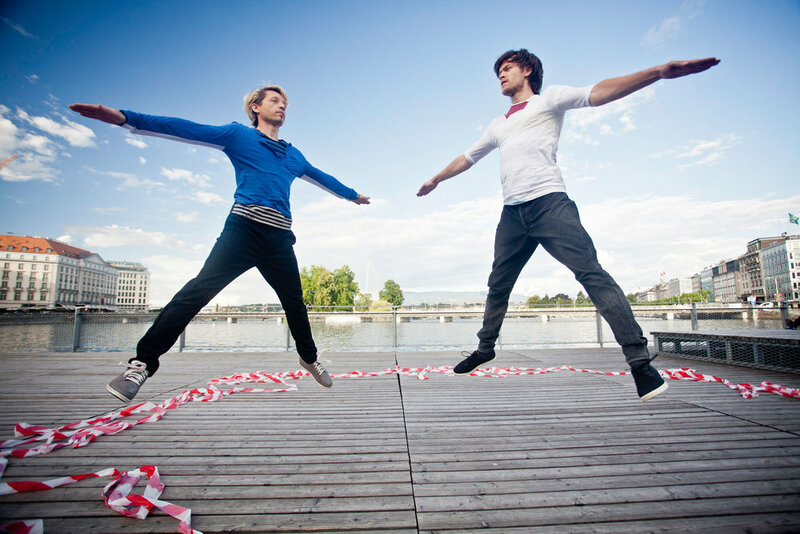 A dynamic duo between two male dancers who mix up rhythms and rituals with contemporary dance and body percussion to create a musical dance delight. Jozsef Trefeli and Gabor Varga take a dance performance to a public space, exploring together the rhythms and rituals of life in a high energy, captivating performance. This meeting of two male dancers connected by being from the Hungarian Diaspora, one born in Australia and the other in the USSR, brings them shoulder to shoulder as they delve into their common heritage. They come together in dance, the art form they share, even though it was learnt on opposite sides of the globe. Through their common vocabulary of vibrant body percussion where even the most basic rhythms are extremely complex, with clapping and slapping, clicking and stamping, they create a breathtakingly energetic dance of lightning fast footwork, leg twisting and weaving, high kicks and turning jumps. Why JINX 103? In many languages when two people accidentally say the same thing simultaneously, there is a word that must be quickly said to ward off bad luck: the French say “chips”, the English say “jinx” and the Hungarians say “103”. La Compagnie József Trefeli a été sélectionnée pour participer à La Grande Scène 2014, plateforme nationale des Petites Scènes Ouvertes ainsi que Les Plateaux, et Région(s) en Scène(s) 2014, Journées de Danse Contemporaine Suisse 2013 et Aerowaves 2013. JINX 103 est une performance dansée de 20 minutes créée spécifiquement pour s’adapter à tout type d’espace. Un spectacle à regarder à 360 degrés.